Nafaa Lyrics – Karan Sandhawalia: This is a Punjabi song from the web series Yaar Jigri Kasuti Degree. It is sung and written by Karan Sandhawalia while its music is composed by Kru172. 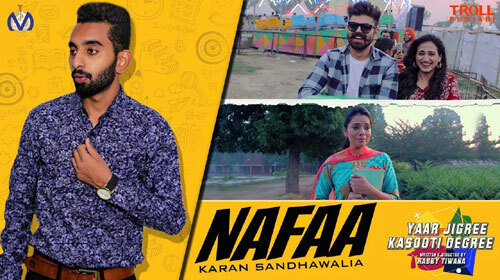 If you find any mistake in lyrics of NAFAA LYRICS – Karan Sandhawalia | Yaar Jigri Kasuti Degree song please let us know in comments.